A Chinese technical company has announced that by 2026, it will start giving free wifi to the whole world. It will start from the next year, when the first free WiFi launch will be launched. According to China's company LinkShare, 272 satellites will be sent in space in the next eight years under this plan, which will ensure the same work. This will benefit people living in places like inaccessible hilly or snowy areas, where telecom companies can not set up. which is being provided for free WIFI all over the world-According to the figures released by the United Nations, by the end of 2017, there were approximately four and a half million people who were not available to the internet. Despite the technical boom in India, the situation is not good enough. At the same time, the new announcement of China is giving great relief. A Chinese technical company has promised to deliver free WiFi in every corner of the world in the coming eight years. One of the biggest newspapers in China, People's Daily, has published a story of this effect. Linkshore CEO gave an in-depth interview about this. According to the report, the first satellite will be launched from the Geikan Satellite Launch Center in Gansu province, located in the northwest of China next year. There will be 10 satellites in the next two years which will be 272 total by 2016. This will help people from all over the world get free internet. The company LinkShare, which promises to provide Wi-Fi for free, was launched in Shanghai in 2013. Soon it took possession of the market. Now the company is going to invest about 3 billion yuan ($ 43.14 million) on its new ambitious plan. 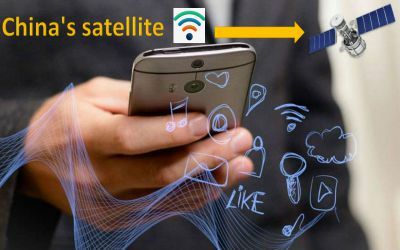 Explain that companies such as Google, SpaceX, OneWeb and Teletail have also started working on several satellite plans for free Wi-Fi, in such a way that this is the only company in Asia that is preparing to compete with established foreign companies. .